What you wrote in “The Journey to Racial Justice: Repentance, Healing and Action” touched me deeply. I’ve read other pastoral letters on racism from the 1979 “Brothers and Sisters to Us” to more recent groundbreaking treatises on the subject. But yours let me know that this fight is personal for you. You yourself belong there, you stated. Not just the Josephites who ministered in my St. Peter Claver Parish in Baltimore or the Franciscan nuns who worked alongside them when I was growing up. You are right to champion efforts to take the sting out of the harsh reality of racism. I faced it, survived it, remained active in the church and figured I was fine. Here I am, a cradle Catholic well past my 50s, and I cannot point to one person whom I’ve invited to consider being Catholic like me! This is astounding, considering how fully I embraced my own Catholicism. I am a graduate of The Catholic High School of Baltimore. 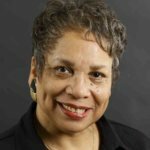 I was the editor-in-chief of the national newspaper published by the National Office for Black Catholics in the 1980s and knew all of the movers and shakers in the black Catholic movement for equality in the church. I was the founding director of the Office of Black Ministry for the Diocese of Brooklyn, New York. I served on the U.S. bishops’ Black Liturgy Subcommittee that contributed to the bishops’ development of “In Spirit and Truth: Black Catholic Reflections on the Order of the Mass” (1987) and its companion “Plenty Good Room: The Spirit and Truth of African American Worship” (1990). If I had to point to one thing that stunted my motivation to evangelize, to go beyond highlighting cultural contributions of blacks to Catholicism to confidently asking others to become Catholic too, I’d have to admit it was racism. The memories of having been unwelcomed subconsciously made me not want to bring anyone else into that environment. Racism thrives on the corruption of innocence, the destruction of hope and friendship with God. Monetary damages or years of therapy cannot compensate for what it destroys. But your plan to listen helps! Your plan to develop forums to address racism, to further diversify church institutions, strengthen efforts to attract people to the church, the priesthood and religious life from diverse racial backgrounds is a must that I applaud. Would I invite someone to be Catholic today? Now I would — because leadership at the top is something I can point to, be proud of and believe is Holy Spirit inspired. I feel the same about my ability to continue blooming here in my own Catholic faith. Whether the watering comes from silent tears or the soothing balm of a shepherd who stands by the hurting through every storm, growth in Christ at any age is still possible! Carole Norris Greene was an associate editor for Catholic News Service for nearly 22 years.